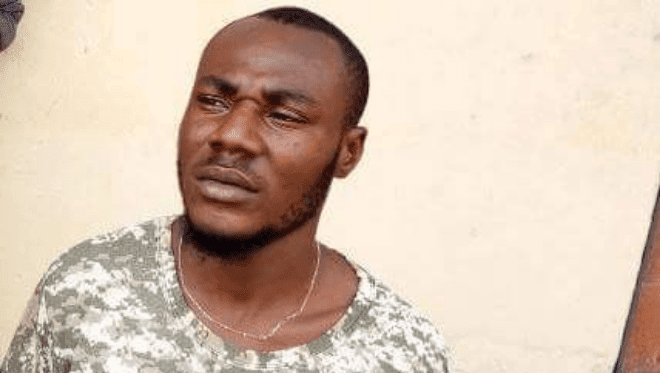 The University of Calabar, UNICAL management have released the details and photos of the suspected gangster killings, a menace that bridged the security odds in the institution and troubled both the minds of students and parents across the nation. NIGERIAPEN gathered that the statement released by the institution that two students from the departments of Theatre Art and Media Studies and Chemistry Education were shot dead in the mayhem. The varsity which in a statement on its official Facebook page on Monday said security has been intensified around and within the campus following the directives of the Vice Chancellor, Professor Zana Akpagu, also named two suspects connected with the killings. The statement which quoted a release by the registrar of the institution, Mr. Moses Abang said random stop and search at various flash points has paid off with the arrest of 11 suspects while two key suspects are on the run. The statement read: “On March 16, 2018, gunmen launched unsuspecting attacks on one Oko Sylvester Ayide a.k.a Davido, a final year student of the Department of Theatre, Film and Carnival Studies, University of Calabar and Wilson Augustine Ebina, a 2nd year student of the Department of Education Science (Chem Education option) in a violent manner that resulted in their death. “Investigations revealed that prior to his death, Oko Sylvester who was shot on the stomach has been on suspension for his involvement in various acts of cultism and robbery while Wilson Ebina was shot dead at a building under construction opposite the Faculty of Education Twin Theatre Hall. Both are said to belong to the Vikings Confraternity. “In a related development, a final year student of the Faculty of Law and resident of Hall 4, Nkanu, Augustine Ebri (a.k.a Abacha) and Obimbua Obey Joseph (a.k.a Obe), also a final year student of the Department of Geography and Environmental Sciences are on the run following the discovery of dangerous items in Nkanu’s room by operatives of the Security Unit of the University. “Items recovered from the room include one locally made pistol, one small axe, one face mask, live and expended cartridges, military camouflage, military sweater, one long dagger, one machete, assorted bottles of concoctions, charms/finger rings, assorted phones, cult regalia, drugs/wraps of Indian hemp and a host of others”. The statement also said that: “The dangerous items have been handed over to the Anti-Cultism Unit of the Nigeria Police, Cross River State Command for further investigation”.